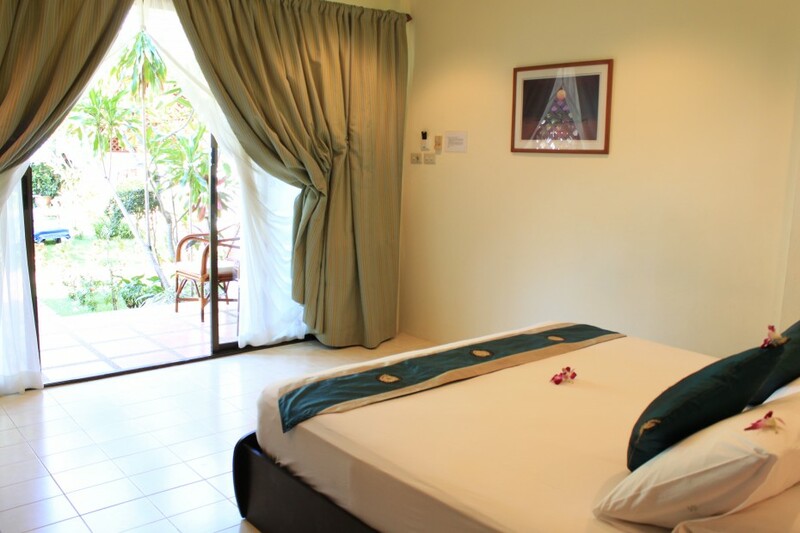 Set amidst a lush garden, our 31 square meter Deluxe Beachfront Doubles are constantly maintained, daily serviced and have magnificent views of the Gulf of Thailand. 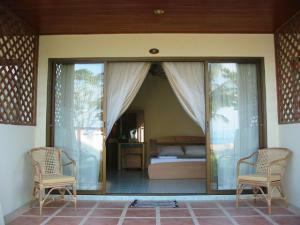 Sliding glass doors capitalize on the beautiful views of Koh Phangan and the outer islands. 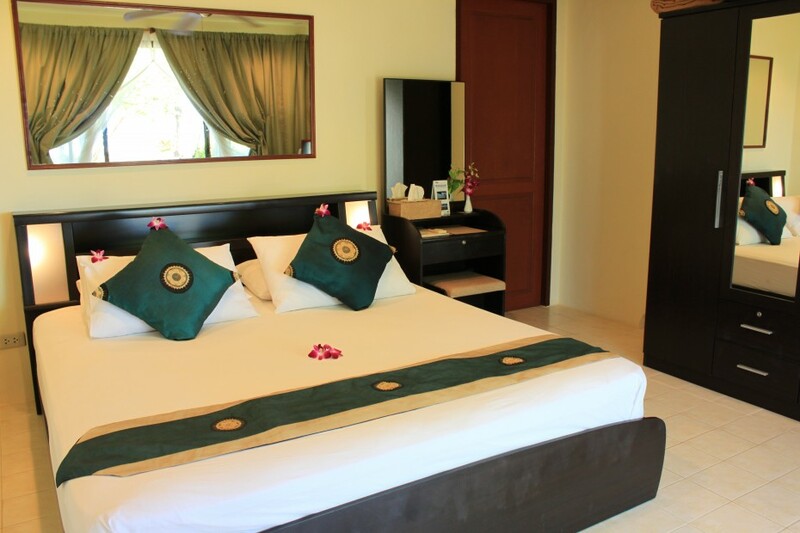 The bedroom features a king size bed, a flat screen TV with DVD player, a dressing table with a mirror, a wardrobe, a safe, dressing gowns, a hairdryer and an adaptor. 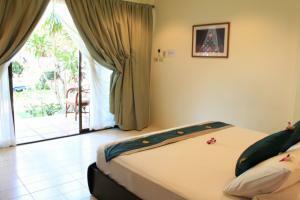 There is also a stocked mini-bar refrigerator and snacks. The bathroom has a tile and glass shower with shampoo, conditioner and body wash. Towels for the beach are also provided. Each room has a private outdoor balcony with two chairs and a table, a perfect spot for taking in the panoramic sea views. Although all our rooms are non-smoking, an ashtray is provided on the table for smoking outside.